We often hear people tell us that we need time to go out, spend time with friends and simply unwind. This may be a good piece of advice if you’re an extrovert waiting to just let go of all your worries and have a good time. But for introverts, doing all these doesn’t do the trick for you. What’s even more sad is you get even more stressed because of all these! People, noise and activity seem to drain you of psychological energy. So after a long day at work, you want to just recharge and replenish your psyche. But how else do you do that when you rarely want to go out? 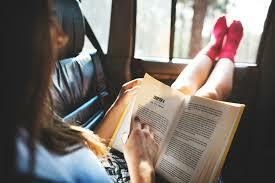 Fiction is a good way for introverts to unwind, especially in print. They don’t have as much stimulus as movies or TV shows have, so introverts don’t cringe when the scene escalates. They can go in their own pace, splurging in a good percentage of the book at any one time or just browsing a page or two in between tasks. They provide a good refuge as introverts try to regain their very valuable psychological energy. If you’re looking for a minimal amount of stimulation from selected few people, then movie or TV shows could do the trick for you. Watching stories unfold as if you’re in the scene as a spectator could really distract you from all the people-exhaustion you feel. What’s even good is you can turn down the volume, unlike with real-life people. By this point, you should have let go of all your stereotypical idealism – that what works for everyone might one day work for you. A trip to the spa, a full-body massage, appointments for facials, hanging out at bars, stay-overs and the like rarely work for you, if at all. So you might want to finally let go of that hope, if not loosen up a bit. It won’t hurt to give it a try once in a while, but don’t force yourself to crave for it as much as everybody else does. 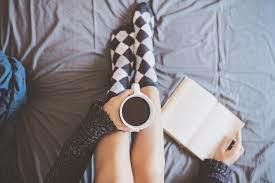 If you crave for that next crossword puzzle, sudoku or just a few pages’ progress in your novel while having breakfast every morning, then continue doing it. Crazy happy moods start in the morning or even before you to bed at night, and being an introvert that doesn’t happen often. So stick to activities that do that for you. In between recharging times, you should establish patterns of having them. And one simple trick is to keep them close to each other so you won’t use up what little you have left.